Bread was first introduced to Koreans in the 19th century, when Catholic missionaries from Europe brought bread with them. But it was during Japan’s 35-year colonization that bread started to find its way onto the tables of ordinary citizens in Korea, eaten as a refreshment between meals. It is for this reason that Koreans call bread “ppang,” a word originating from the Japanese pronunciation of “Pao-de-lo,” which means bread in Portuguese. 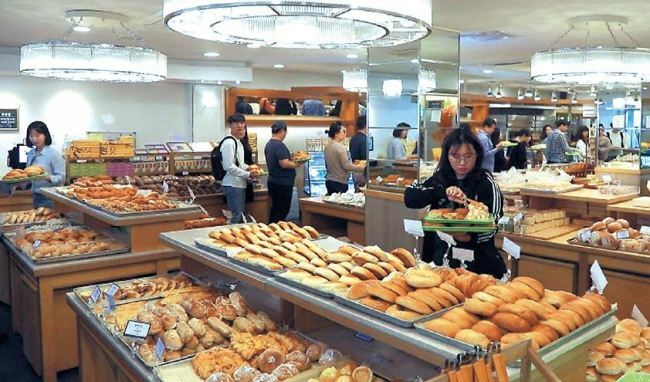 After gaining more popularity in the 1990s, as Korea opened up more to the world, bread has now become a popular alternative to rice, a Korean staple. With an over 100-year history in Korea, there are types of bread that have remained popular for decades, with the taste recalling childhood memories for older generations. For many Koreans in their 50s or older, danpatppang, or red bean paste buns, are nostalgic reminders of one of the first types of bread here. The story of the red bean paste bun dates back to 1945 when Korean bakery Lee Sung Dang opened in Gunsan, North Jeolla Province, in the same year Korea was liberated from Japan. The bakery was formerly Izmoya Bakery run by a Japanese owner during the colonial period since 1910. Lee Sung Dang’s first bread machines were left behind by the former owner. The red bean bun has a thin layer of bread covering red bean paste, which makes each bite sweet and chewy. 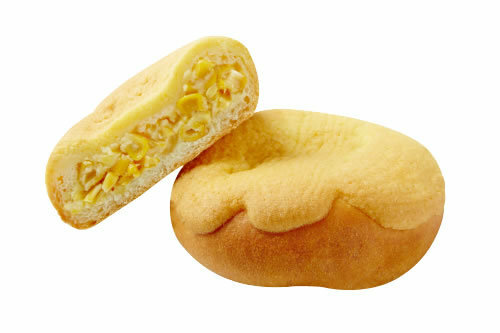 Including the red bean paste bun, most Korean bread features strong, sweet flavors, the official said, suggesting that this may be because such bread satisfies people over a longer period of time. Another popular item from Lee Sung Dang is a bun filled with sliced vegetables, including cabbage, onions and carrots, seasoned with pepper and salt and covered with mayonnaise. The veggie bun is also called “saladappang” in Korean, based on the Japanese pronunciation of salad. In Daegu, Samsong Bakery is the oldest bakery, founded in 1957. The bakery’s flagship corn bread is made with a filling that has whole kernels of fresh sweet corn, sweet and tangy cream cheese, and diced vegetables. The sweetness of the corn bread is known to be so addictive that patrons often call it “mayak” bread, meaning drug in Korean. In Daejeon, Sungsimdang is the biggest bakery. It opened in 1956 as a small steamed bun store. The bakery is now famous for buchuppang, bread filled with seasoned leeks, and fried soboro, bread with streusel-like upper crust. 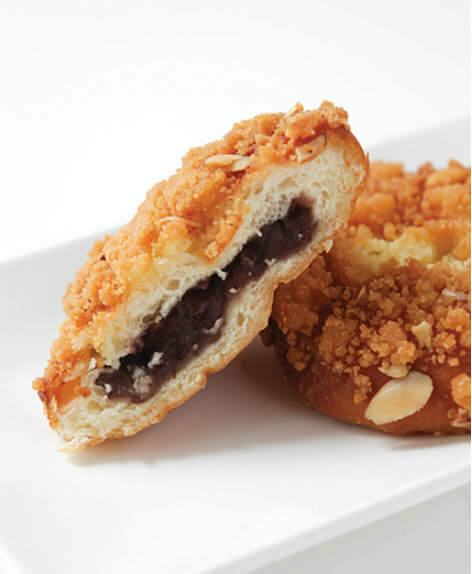 Soboro bread usually has no filling, but Singsindang’s version is filled with red bean paste.